At the 2017 IAPD/IPRA Conference in Chicago this January, Palatine Park District was named one of 18 agencies in the state of Illinois to be awarded the 2016 Healthy Play Action Grant from GameTime, a PlayCore company. The grant funds, which total 1.45 million dollars, are part of an Illinois statewide initiative to promote healthy play with the Illinois Park and Recreation Association (IPRA), GameTime, and PlayCore. 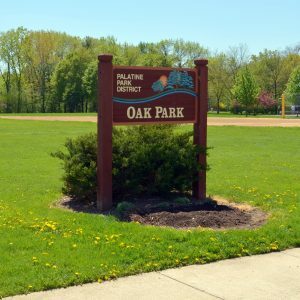 The matching grant will be used to renovate Palatine Park District’s playground at Oak Park, located at 455 N. Clark Drive, this summer. “The proposed playground will incorporate a variety of the latest state of the art components which provide the six key play elements to promote healthy lifestyles,” said Ed Tynczuk, Superintendent of Parks and Planning for the Palatine Park District. “This playground will be designed to accommodate children from the age of five to twelve and include play panels and musical components to facilitate learning development.” Kids Around the World, a non-profit organization, will be removing the current playground at Oak Park and repurposing it in an underprivileged area to be determined by the organization. The community is invited to be a part of the decision-making process as Palatine Park District determines the amenities for the renovation site. 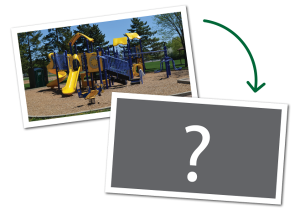 Residents are invited to select their favorite playground elements to be included at the park. Equipment options on the ballot include deck climbers, ground level pods, overhead climbers, panels, slides, and spinners. Ballots are located in the lobbies at Birchwood, Community Center, Falcon Park, Palatine Stables, and online. Submissions will be accepted through Tuesday, February 21 to help the District make some of the final equipment selections. Ballots received will be entered in a random drawing for a Palatine Park District Family Prize Pack with daily pool passes, logo items, and more. Each of the playgrounds that are funded by the matching grant will be designated as National Demonstration Sites and will contribute toward the publication of an authoritative report to highlight best practices and outcomes achieved.